Our new Smartphone App Service was a real hit! channelcentral thoroughly enjoyed the conference and having the chance to meet so many of our old and new valued customers. 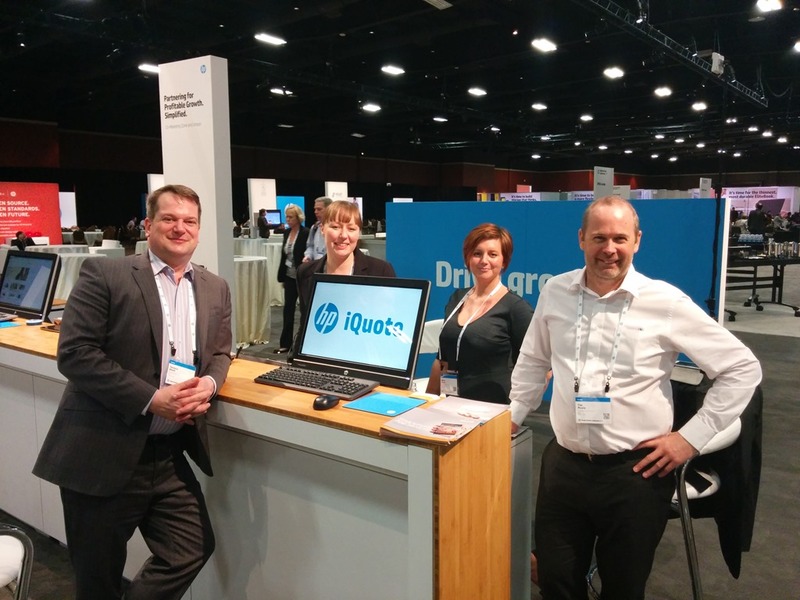 It was great to hear so much positive feedback on our services such as HP iQuote, Smartphone App and HP Solution Store. It was very clear to us, that our services make a real difference to the way our customers now do business. Our quotation tools, such as HP iQuote, have made businesses more efficient and have ultimately helped grow revenues. The introduction of our new Smartphone App Service, which allows our customers to quote HP on the move, will help grow revenues even further. This service gained much interest during the conference and we are looking forward to creating bespoke versions of the application for many of you in the coming months. Featured as part of the PartnerOne stand, the channelcentral team spent 3 days providing demonstrations of our services. A highlight of the week was attending Chuck Smith’s session on Wednesday afternoon, hearing how partners can boost sales quickly and easily. The channelcentral HP iQuote Service featured heavily in this session demonstrating that it is as critical to HP’s business as it is to its Channel Partners. Thank you to so many of our customers that came to visit us at the stand and for your continued support of our services. channelcentral very much look forward to seeing you again in Las Vegas next year!